Education, authentication and identification are the key elements in building a collection of ancient art. We at Clio Ancient Art are often contacted by private owners, art museums and estate executors wishing to identify objects and learn if the they are genuine ancient artifacts, reproductions, fakes, forgeries, or tourist trinkets. As a service to antiquities collectors, owners and the museum community, Clio Ancient Art provides authentication and identification services. Click here to learn more about this service: http://www.clioancientart.com/id23.html. 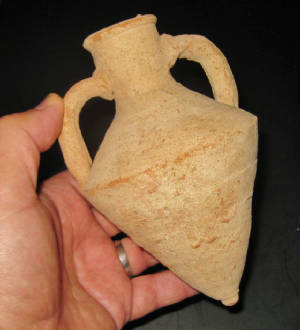 Educating oneself is the key to avoiding disappointment upon learning that an “antiquity” one may have purchased is not ancient or genuine, as well as avoiding ethical or legal complications associated with ownership of an antiquity with questionable provenance. Our own links page — http://www.clioancientart.com/id15.html — is a good starting point in building a knowledge base about antiquities and ancient art.